Raphael Varane has expressed his desire to depart from Real Madrid. The talented centre-back has told the 13-time European champions that he wishes to secure an exit come summer, according to Spanish TV El Chiringuito. Varane will cost any interested party a fee in the region of €100 million (£85 million), with clubs like Juventus, Liverpool, Manchester City, and Paris Saint-Germain said to be eyeing his services at present. However, multiple sources indicate that Manchester United are in pole position to sign the Frenchman, with top officials at the Old Trafford club more than willing to cough up the enormous sum to close the deal. 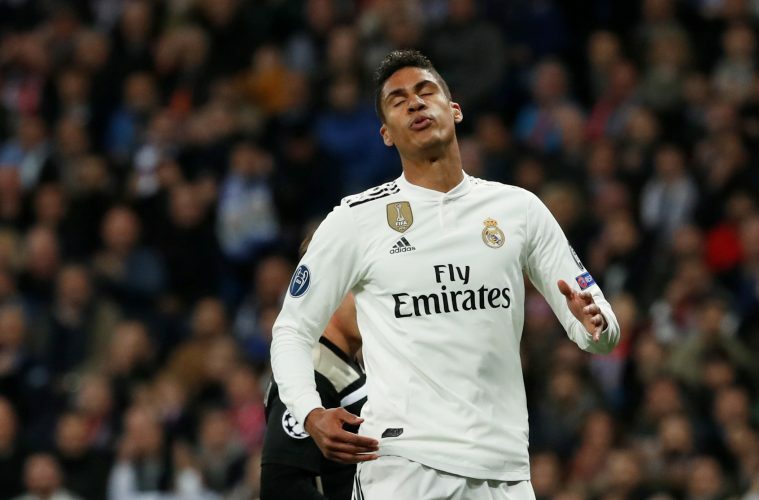 Despite the plethora of reports indicating Varane’s unhappiness at the Bernabeu, manager Zinedine Zidane remains insistent that the defender will stay put at the Spanish capital. The French tactician recently stated (via The Sun): “I can tell you he is very happy here, he has been here eight years, he has done phenomenal so far. I don’t see him as people have said recently, he looks happy and committed in what he is doing. “The feeling is positive. He knows what he has done here and it is normal that there are rumours that they want him, but I see him well here. In spite of these claims from the manager, Varane continues to be heavily linked with a summer exit, as he looks to seek a fresh challenge at a brand new club. Where will the 25-year-old ply his trade next season?